While pay, flexible hours, and wellness programs are appealing, employee benefits are among the top considerations for potential new hires. For many adults searching for a new job, employee benefits play a major in their decision to work for a company. While pay, flexible hours, and wellness programs are appealing, employee benefits are among the top considerations for potential new hires. Particularly for individuals with families, employee benefits are essential not only for the individual but for their dependents as well. 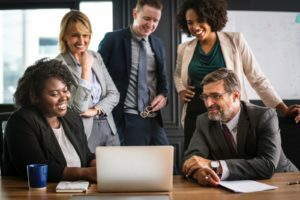 As you are preparing your hiring process for 2019, consider the many reasons why your employee benefits package is an essential part of hiring your ideal candidate. In addition to contributing to the health of your employees, your employee benefits package is also essential for their loyalty to your company as their employer. When an employee has a benefits package that works for them and their family, they are much more likely to stay with your business as an employee. This point will not only keep your employees within your company, but it may also encourage their internal growth within your business. Your employee benefits package also plays an important role in your employee wellness in the workplace. When your employees have access to vision insurance, they can get glasses that will allow them to see and be more productive during the day. When your employees have health insurance, they can visit the doctor when they are sick to feel better. In addition to attracting new talent, your employee benefits package is a crucial part of caring for your current employees as well. As you are looking for your ideal candidate, your employee benefits package will be a crucial part of attracting the best candidate for your posting. While salaries will vary from business to business, an attractive employee benefits package will help to separate your company from the others as a prospective employer. By ensuring that you have a high-quality employee benefits package, you are also working towards attracting your next ideal job candidate. This entry was posted on Friday, November 30th, 2018 at 10:03 am. Both comments and pings are currently closed.